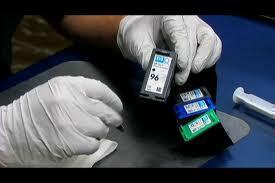 Inkjet printers contain hundreds of parts all working together to put millions of microscopic dots onto paper. 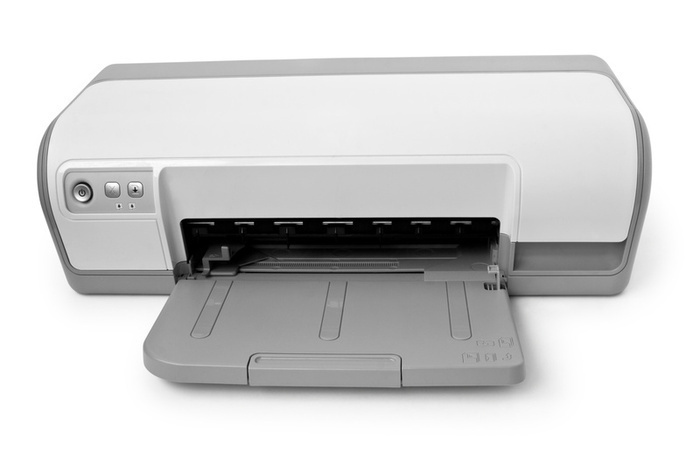 There are five main components of an inkjet printer: print head, paper feeder, circuit board, power supply, and the case. Of these, the print head and paper feeder are the most interesting. The print head contains an array of microscopic nozzles that fire drops of ink onto the paper. In some cheap printers, the print head is not even part of the printer, but part of the ink cartridge. There are two main types of print head: thermal (“Bubblejet”) and piezoelectric. Thermal print heads have an array of microscopic nozzles with a small heater filament in each one. When a dot needs to be placed on the paper, current is passed through a filament to boil the ink in that nozzle and create a steam bubble. When the bubble pops, ink is shot out the nozzle end while more ink is sucked into the nozzle, ready for the next firing. This process is repeated thousands of times for every page printed. The term “Bubblejet” is actually a brand name owned by Canon, a major printer manufacturer, and is just another name for these inkjets. Piezoelectric print heads use a special crystal that vibrates when electrified. This vibrating crystal acts like a plunger, pushing ink out of the nozzles and drawing more ink in. The main advantage over the thermal print heads is the larger range of inks they can use. It also allows for higher resolutions because the ink nozzles are closer together. Almost all inkjet printers made today use a piezoelectric print head. Both types of print head are stabilized by a solid metal bar, and belt driven by a stepper motor. A stepper motor is special type of electric motor that moves in a precise amount for each electrical pulse it receives. As the print head moves back and forth, the printer fires the ink drops at the right time to form the array of dots that make up a printed shape. The paper feeder consists of the paper tray, pickup rollers, main rollers, and the stepper motors which drives the rollers. The pickup rollers lift a sheet of paper from the tray and move it into the main rollers. These long rollers, along with a fixed guide, keep the sheet align while it is moving. With each pass of the print head, the rollers move the sheet forward a little, until finally ejecting it after printing has finished. Picking the right photo paper for your printer can be a difficult task. Do you go with a matte finish or not? Do you want heavier paper or lighter paper? Can your printer even handle it? When standing in an office store–Staples, Office Depot, take your pick–looking at all the different photo paper, how do you know which to pick? There are a lot of things to consider before picking the right paper. Here are some of those things. What size paper do you want? Do you want a 4×6, 5×7, 8.5×11 or perhaps the 13×19? Knowing the right size–measured in inches–is important when picking paper. Some photo paper only comes in certain sizes and therefore, you have to compare the size to everything else. If you absolutely want a 4″x6″ photo, but the brightness isn’t as great, which do you sacrifice? Therefore, before looking at anything else, first determine the size you want. Consider how see-through the paper is. The lower the opacity, the more likely things are going to bleed through. Therefore, when shopping for photo paper, look for a high opacity. For example, most Inkjet photo papers have an opacity from 94 to 97. Going lower will risk bleeding. The higher opacity also allows for double sided printing which, for the economical printer, is a good thing. Therefore, the higher the opacity, the better. 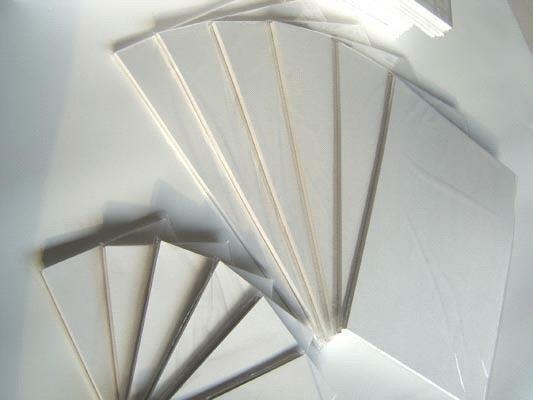 It’s easy to say that white is white, but when discussing photo paper, you want the paper to be as bright as possible. The scale of brightness goes from 1 to 100. The closer to 100, the brighter the paper. Most photo paper rests in the 90s, but deciding which is the brightest can sometimes be tricky when the company doesn’t label. To determine which is better, compare a brightness that you know to one you don’t. If the unknown is brighter than the known, you have a better piece of paper. Choose that one. Most photo paper runs in the 24-71 pounds range in regard to weight. When printing, you want to use a heavier paper, especially if showing something in regard to business. Heavier paper means that it is more durable and therefore, won’t fall apart when passing it around. Paper weight can be measured in pounds or grams per meter squared (g/m2). 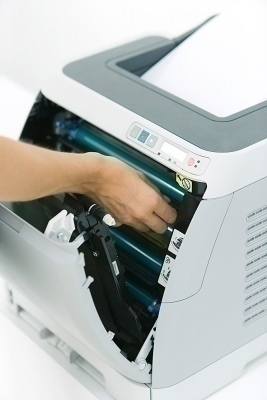 But, as mentioned above, make sure your printer can handle the weight of paper you’ve opted for. This is the thickness of the paper. It differs from weight, but also is similar. You want a thicker paper the same as you want a heavier paper. Because you are using photo paper, you want it to be thicker. A lot more ink is going to be coming down on the paper and therefore, if it’s too thin, it’ll bleed a lot. Most photo paper ranges from a thin 4.3 millimeters to a thick 10.1 millimeters. Thicker is better, but more expensive. There are two types of paper finish. The first is a gloss finish and the second is a matte finish. Each have their perks and in the end, it’s up to the buyer about what they prefer when it comes to paper finishes. This coating is similar to the one you’d find with professional photographs. When dealing with gloss, what you’re looking at is how “shiny” the pictures are. You can opt for a high gloss or a low gloss or anything in between. The downside to gloss finishes is that they take a long time to dry because there is a protective layer that prevents the ink from being absorbed by the paper too quickly. Any image that is printed on a matte finish appear soft and non-reflective or shiny. This is the exact opposite of a gloss finish. This type of paper tends to be thicker and, because of that, can often times be printed double sided. When putting together a large portfolio, matte finish can be the ideal choice. what programming language do injet printers use? 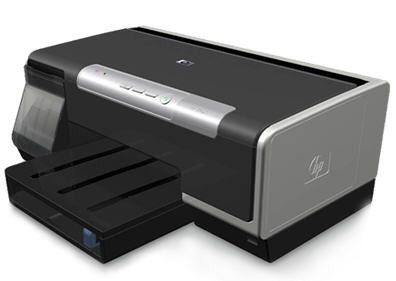 is it PCL for all printers inkjet or laser? PCL is most likely to be used by both. There is also PostScript, but it’s old and rarely used nowadays. 122 queries in 0.241 seconds.